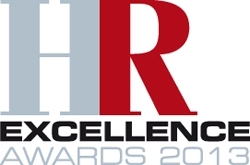 Opus Energy has been shortlisted at this year’s HR Excellence Awards, which is in its 18th consecutive year of honouring companies with an outstanding strategy for recruitment and employee development. NORTHAMPTON, England - May 1, 2013 - PRLog -- B2B energy supplier Opus Energy has been shortlisted in the ‘Most effective recruitment and retention’ category at this year’s HR Excellence Awards, which is in its 18th consecutive year of honouring companies with an outstanding strategy for recruitment and employee development. The Awards, which are run by the prestigious HR magazine, reward companies which place their people at the core of the business. Being shortlisted for the ‘Most effective recruitment and retention’ category is recognition of the positive impact that Opus Energy’s innovative recruitment and retention strategy has had on the company’s growth. Results will be decided by a panel of judges, and announced at a gala awards dinner at the Hilton, Park Lane, London, on July 2nd. Opus Energy is the UK’s leading business energy supplier. The company was founded by Charlie Crossley Cooke in 2002 and now employs 450 people over its Northampton and Oxford-based offices. Opus Energy supplies more than 150,000 business locations across the UK with power. Customers include: White Stuff, Paperchase, Stagecoach, Pizza Hut and Virgin Media. In addition to supplying energy, Opus Energy also purchases power from over 600 renewable generators in the UK which it then supplies to its customers. Opus Energy was ranked as the highest-rated provider for small and medium energy users in Datamonitor’s 2012 B2B Customer Satisfaction Survey published in March 2013. The management team has a 50 per cent stake in the business, while GDF SUEZ holds 30 per cent and Telecom Plus Plc has 20 per cent. For further information about Opus Energy, please visit www.opusenergy.com.